Love him or despise him, the quarterback will likely go down as the best player to ever play the game. The sullen coach will be remembered as the best to ever prowl the sidelines. The billionaire owner who didn’t meddle and largely stayed out of the way is already a regional hero to a rabid fan base that loves the team’s winning ways. The rest of the country is suffering from an extreme case of New England Patriots fatigue, but Tom Brady, Bill Belichick, and Robert Kraft continue their reign over the NFL. The three have been together for nearly two decades, and their success on the field has translated into a real estate empire off the field. Born in Brookline, MA, Kraft made his fortune in paper and packaging before becoming a luxury-box fixture on Sundays. A season ticket holder with the Pats since 1971, Kraft was able to purchase his once-downtrodden hometown team in 1994 for a mere $172 million. Since then, he’s celebrated five Super Bowl wins as owner. He’s also able to celebrate the fact that his team is now worth $3.4 billion, according to Forbes. Kraft has had the team over to his house for victory parties over the years. His in-town place is a massive estate in Chestnut Hill, MA. He owns three lots spanning around 6 acres in the Boston area’s toniest and most exclusive neighborhood. Robert Kraft’s house in Chestnut Hill, MA. In Kraft’s ZIP code of 02467, there are only 20 homes currently on the market, and most are asking over $2 million. If you’d really like to experience the luxe life in Chestnut Hill, the home of Reebok founder Paul Fireman has been on the market for a year and a half. It’s too bad the price hasn’t budged from $90 million. When he’s not in the Boston area, Kraft travels down the coast to his Cape Cod getaway. His waterfront home in Mashpee, MA, has been the site of yet more player parties, as evidenced by this video of a 2015 cookout at his place. His Mashpee manse spreads over two contiguous waterfront lots. But you don’t have to be a billionaire to enjoy this beachy community—the median listing price of homes in the town currently sits at a relatively affordable $425,000. And Kraft keeps it all in the family when he spends time in the Cape. 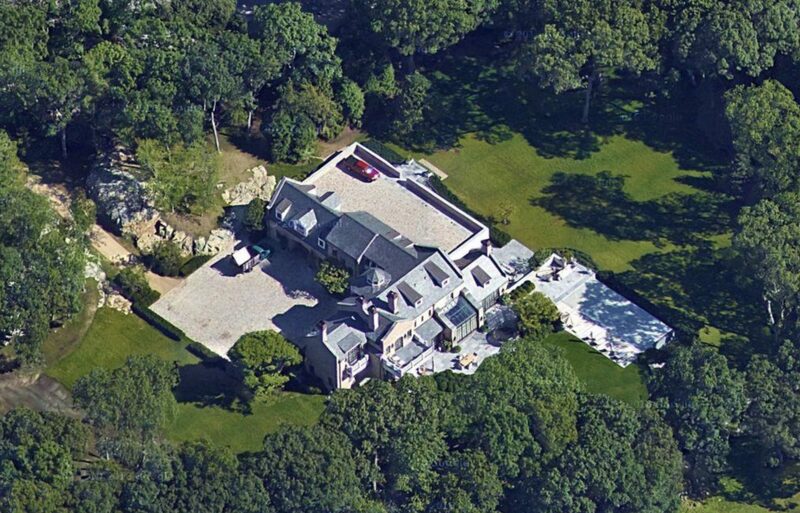 His son Jonathan, who serves as president of the Patriots, owns the large home right next to his dad’s massive spread. 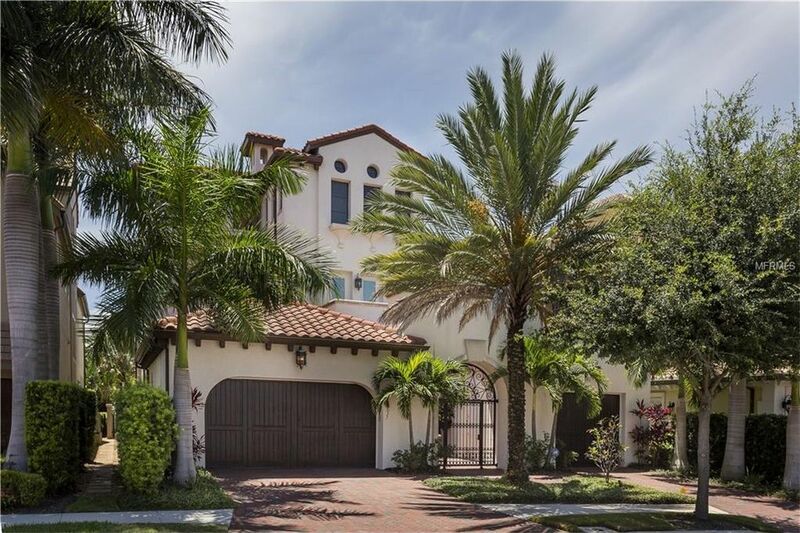 Like the fellow owner he’ll be battling for a championship this Sunday, Jeffrey Lurie of the Philadelphia Eagles, Kraft keeps a winter pad in Palm Beach, FL. He sprang for a large parcel on North Ocean Boulevard that was on the market in 2009 for $29.5 million. 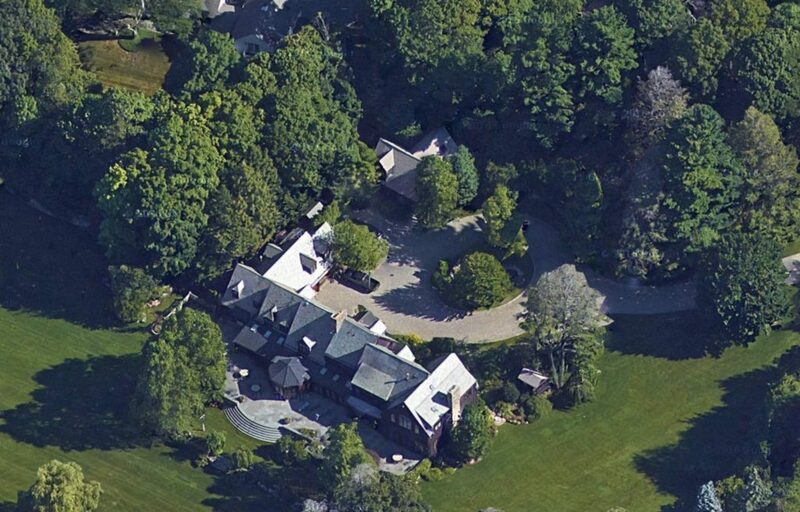 There’s no definitive word on what the Pats owner paid for the property, but it now holds a luxurious mansion befitting a billionaire. Plus, it’s only 15 minutes north of Mar-a-Lago—where Kraft is a member—so there are ample opportunities to rub elbows with President Donald Trump. They’re pals! Brady has extended his brand off the field, branching into cookbooks, fitness, and health. Thanks to his wife, supermodel Gisele Bundchen, folks who don’t know a halfback from a handoff know all about Brady. Brady’s made the most of his fame and fortune when it comes to real estate. During the season, the Brady bunch stay at their place in Chestnut Hill, making him neighbors with Kraft. An LLC with ties to Brady bought a 5-acre piece of property from a local college for $4.5 million in 2013. The couple then hired Richard Landry to build a 14,000-square-foot mansion with a yoga studio, gym, and chef’s kitchen. Completed in 2016, the estate is right down the street from the home of the man who (gladly) signs his paychecks. Before settling on their Boston-area mansion, the power couple also kept a place on the West Coast. The subject of a glowing profile in Architectural Digest, the custom-built home in the Brentwood neighborhood of L.A. went on the market for $50 million in March 2014. 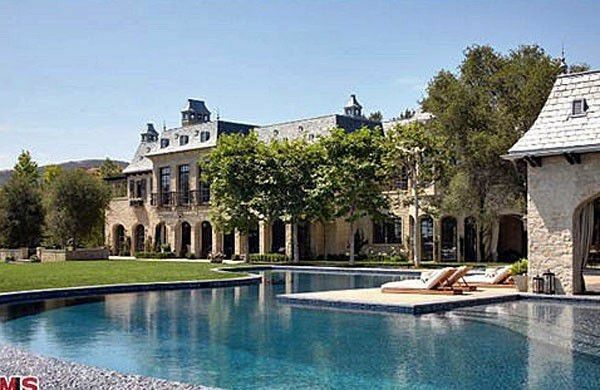 It was snagged a couple of months later by music producer Dr. Dre for $40 million. The couple also keep a place in New York City for when business calls. They put down $20 million to buy a unit at Tribeca’s 70 Vestry building in August 2016. Construction on the building is slated to finish this month, so the couple will likely start furnishing their NYC pied-à-terre right after the Super Bowl. The famously reticent genius behind the Patriots, Belichick has kept his Boston whereabouts quiet. There’s no publicity or magazine spreads devoted to the home where he stays during the season. His off-season home? That’s a different story. He’s gone on record about his abiding love for Nantucket, MA, and participated in a photo shoot and interview last summer with Nantucket Magazine. Property records show he keeps a two-house compound in Siasconset on the eastern edge of the island. Spread over a large lot, it’s where the gridiron mastermind heads at the end of every season to decompress. If you’d like to join the coach on his favorite island, be prepared to pay dearly. There are only 45 properties on Nantucket currently for sale, and the median list price is a sunny $1.5 million. Like his head coach, All-Pro tight end Gronkowski owns a two-house compound in Massachusetts. Through an LLC, Gronk owns adjacent homes in Foxboro, MA. One of the homes is a five-bedroom with 4,486 square feet of living space. The other house is a four-bedroom with 4,466 square feet. Combined, the total property measures an acre and a half at the end of a secluded circle just a couple of miles away from Gillette Stadium. According to a 2015 Sports Illustrated article, locals might find a party bus (nicknamed “Sinner Bus”) parked in the driveway behind the gates of Gronk’s home. Outside the Boston metro, the merrymaking pass catcher once owned a notorious “party house” in Tampa, FL. He purchased the place for $1.6 million in 2012, and then we assume he commenced with partying heartily. However, he owned the waterfront getaway for only a year before putting it back on the market in August 2013 for $2.4 million. The three-story mansion wound up selling for $2 million in December 2013. But the party rolled on into last year, because the Tampa manse wound up selling yet again, in September 2017 for $2.19 million.